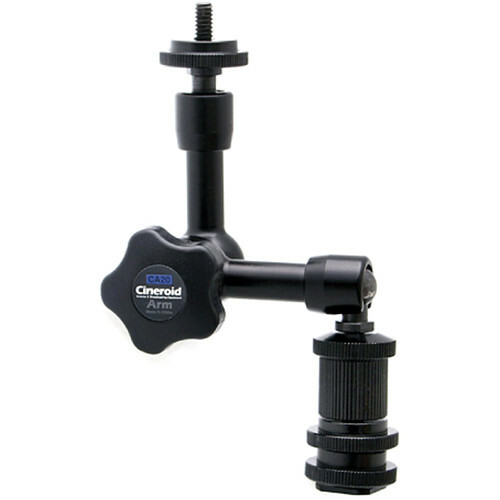 Use the Cineroid CA20 Articulating Arm to mount accessories to your camera or rig. With a maximum extended length of 4", you can position your accessories in almost any configuration. Both ends of the arm terminate in male 1/4"-20 threads, which are compatible with most rigs and accessories. A 1/4"-20 to 1/4"-20 female thread adapter is included along with a shoe-mount for securing the arm directly to a camera. Box Dimensions (LxWxH) 5.8 x 3.9 x 2.2"